For all these years since my teenager period, I've been dealing with post acne scar on my face. My mum and articles everywhere been telling me for not squeeze acne on my face but you know, teenager, especially rebellious ones like me, doesn't really listen to all these advices and end up I'm regretting for what I've been done to my face. I want acne scar-free skin and all this while I only heard of cosmetic surgery such as laser, which I'm afraid of the side effect and the cost of it. I want something that has wayyyyyy low risk and affordable. If you are seeking the same thing like I do, the wait is over! 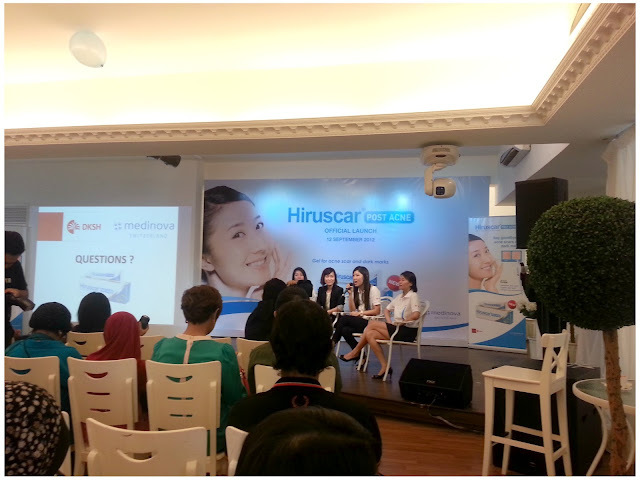 The very first after-acne scar care product in Malaysia - Hiruscar Post Acne Gel! Post acne scar care gel!!! The gel is easy to apply, fast absorbing, non greasy and pleasantly scented, more like a hint of pepper which I really like. Its formulation is also hypoallergenic and will not cause skin irritation, can be used in conjunction with daily make-up and be a part of everybody's skin care regime. Most of all, it's an alcohol-free formula product which ensures there's no burning sensation on the skin after application. 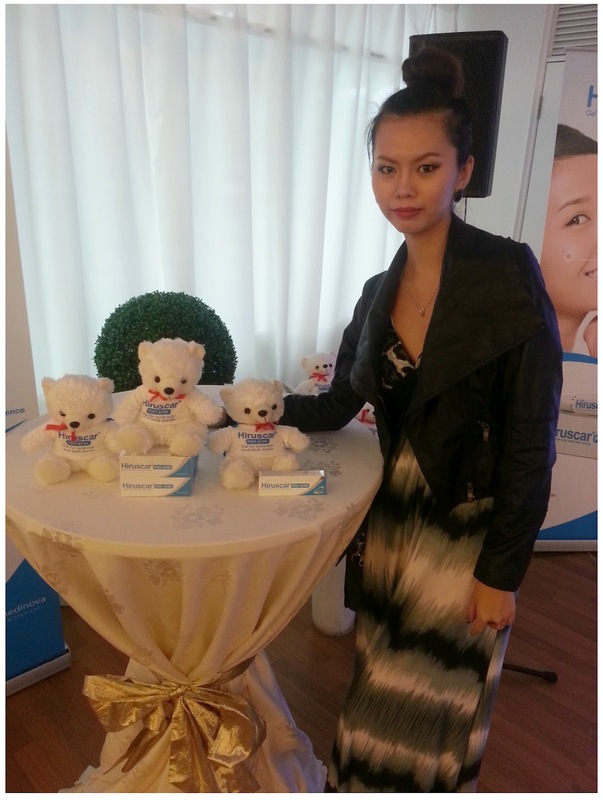 First, it improves and smoothens the appearance of pitted and depressed acne scars. Third, it prevents recurrence of acne through its anti-bacterial properties. For my case, as I already have acne scars for years, it'll definitely need more than 4 weeks. I've been using it since I got it and I love its texture, smell and I'm waiting for its magic to work~! 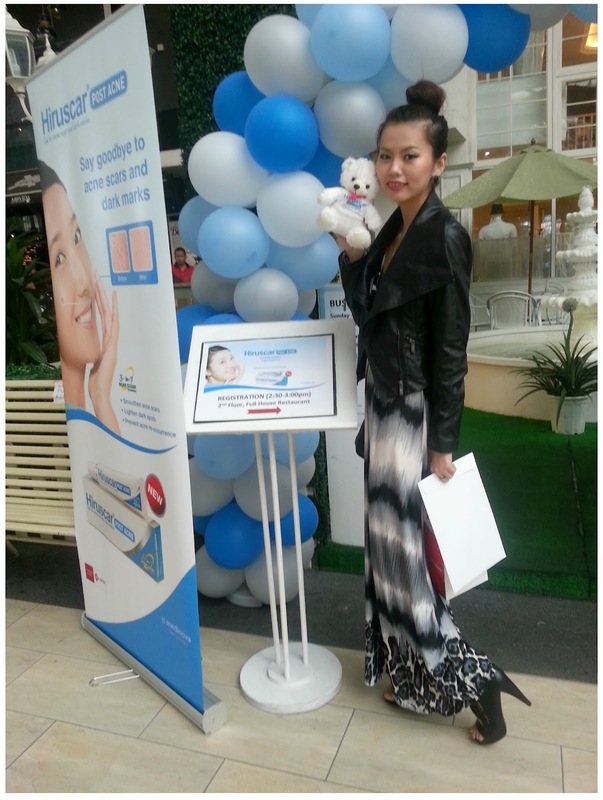 Gracing Hiruscar Official Launch by Regional OTC Marketing Directior Medinova AG Thailand Pamela Tan and the Vice President of Healthcare DKSH Malaysia Sdn. 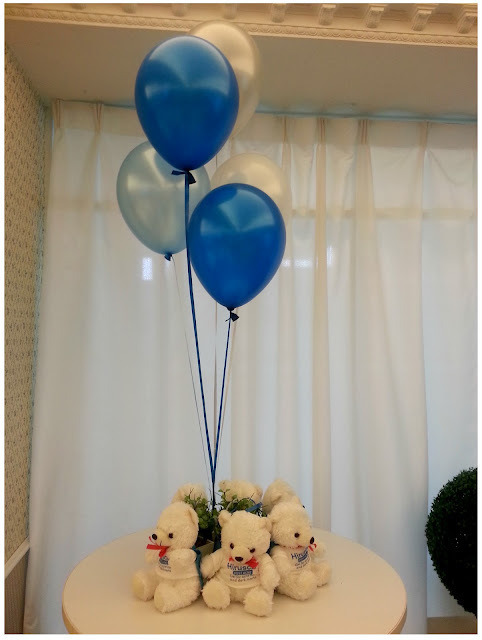 Bhd Dr. Marc Michel Franck. 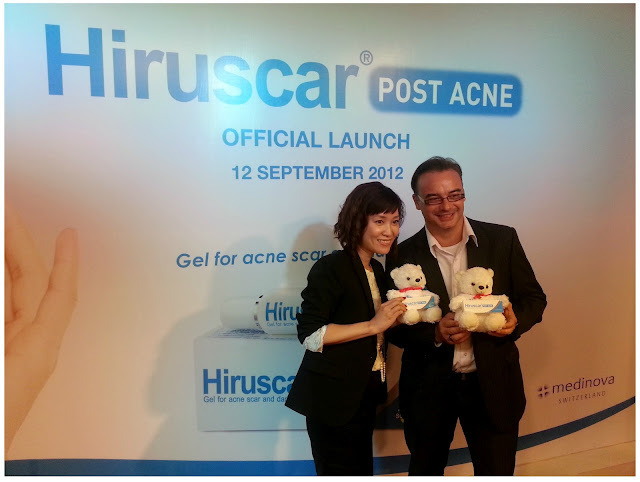 Thank you very much for bringing Hiruscar Post Acne gel into Malaysia. Getting a 'model skin' is not a dream anymore!